Choosing an effective, intelligent data management and backup solution is essential for any forward-thinking organisation today. Strategic decisions are increasingly being made based on data. so this data has to be accurate, easily accessible and secure. But data management infrastructure often fails to keep pace with data growth, particularly within small and medium or rapidly growing enterprises. A recent survey by Rubicon Consulting found that SMEs managing explosive data growth often have backup processes that could put their data at risk. According to the London Chamber of Commerce, 90% of businesses that suffer a major data loss have closed down within two years. But for such an important decision, which data management and backup solution is the best one for your organisation? Here we explore three of the main players – Veeam, Double-Take and Zerto – and compare the relative pros and cons of both Double-Take and Zerto to the popular Veeam solution. Veeam is chosen by over 320k customers, including 80% of the Fortune 500. The Veeam Backup & Replication package is a powerful, easy-to-use and affordable data protection solution. VeeamONE integrates with Veeam Backup & Replication™ to bring its advanced monitoring, reporting and capacity planning capabilities to backup. Then the Veeam Backup Management Suite combines Veeam Backup & Replication with the powerful monitoring and reporting capabilities of VeeamONE to offer #1 VM Backup with advanced monitoring, reporting and capacity planning for backup and virtual infrastructures. VeeamONE helps administrators to assess their current infrastructure and provides them with intelligent monitoring and alerting system a with built-in knowledge base for fast troubleshooting. Its reporting tools assist administrators in virtual resources optimisation. VeeamOne delivers the visibility, scalability and control you need and protects your investment in virtualisation. It increases administrator productivity and helps mitigate daily management risks for virtual environments of all sizes. Modern data protection solution for both SMBs as well as large enterprises. 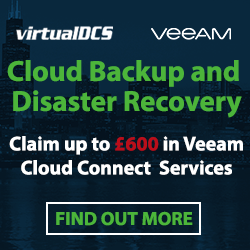 Fast Backup and Replication using Near Continuous Data Protection CDP techniques giving the best RTOs and RPOs (what Veeam calls RTPO) of less than 15 minutes. Agentless, application-aware backup and replication making the solution extremely easy to use and manage. Storage agnostic solution, whereas no dependencies on storage type in production and DR site. Single interface for Backup and Replication for both VMware and Hyper-V virtual environment. ‘Out of the box’ Deduplication and Compression technology. Support for compliance with data protection best practices by keeping multiple copies of backup files on different media in different locations. Advanced Application Items Recovery supporting every single virtualised application like Exchange, Active Directory, SharePoint. On-demand sandbox environment for testing or recovery purposes through isolated network lab from both backup and replicas. Self-Sufficient backup files to avoid single THE point of failure often associated with catalogs. Intelligent failover mechanism with automatic VM network Re-Mapping and Re-IP on DR site. Recently acquired by Carbonite, Double-Take is a leading provider of high availability (HA), disaster recovery (DR) and migration software solutions for physical, virtual, cloud and data services. 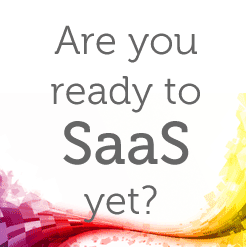 The software is used by more than 6000 customers from SMEs to Fortune 500 companies in over 70 countries. 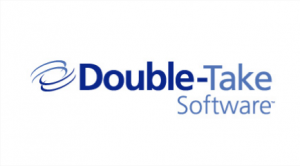 Double-Take Software offers an easy to use and affordable workload optimisation solution, which gives users the ability to easily access data and manage desktop and server workloads in both virtual and physical environments, whatever the location or platform. Double-Take also enables users to move workloads for migration and offers continuous backup and recovery for applications and data. Used with VMware, Double-Take can replicate application data from multiple production servers to a single disaster recovery target, then failing over to the disaster recovery target in the event of an outage. Availability: Ensure critical IT workloads are available for business continuity and disaster recovery using real-time replication and failover that can protect individual applications, entire servers or virtualized workloads running on VMware ESX or Microsoft Hyper-V. Backup: Continuously backup and recover workloads whenever required to a new physical or virtual machine. Migration: Move workloads between different virtual and physical hardware (P2P, P2V, V2P, V2V or X2X) within data centres or across locations for data centre migrations and consolidations. Flexibility: Double Take allows users to manage workloads without requiring specialised HBAs, by booting them from iSCSI SANs. How does Double-Take compare to Veeam? Veeam is a 2-in-1 Backup and Replication Solution with built-in Deduplication and Compression, providing best protection for VMware and Hyper-V environments. Double-Take is a Replication engine, so additional software is required to take care of the backup. Veeam can go back in time from Replicas instantly. Recovering from an old restore point in time with Double-Take can take much longer. 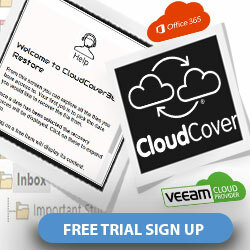 Veeam Backup and Replication is an agentless solution, which is easy to deploy and scalable. Double-Take requires agents and additional resources and administration. In case of Hyper-V, Veeam developed Change Block Tracking for Hyper-V which make sure that only changed blocks are replicated each time, which reduces bandwidth requirement, as Double-Take just replicates on the storage block level without any optimisation. Veeam Backup and Replication performs application-aware image level backup and replication without the need for extra agents to backup/replicate applications. Veeam also has the ability to restore files and application items such as Exchange and SQL directly from the backup disk/replica without the need for any staging. Double-Take doesn’t offer this facility and requires agents for each application to be replicated. Veeam is the only data protection solution that provides the ability to guarantee backups and replicas using SureBackup and SureReplica technologies, whereas Veeam automatically performs the test on the VM, OS and Application level. Double-Take doesn’t have this ability. Moreover, when data is corrupted in the source it is silently replicated in the DR site, which is a real risk. Veeam has built-in software WAN Accelerators using different techniques such as caching, compression/deduplication and bandwidth throttling to ensure minimum impact on network and adopt a fault tolerant bandwidth (Veeam Replication can work on links as low as 1MBPS). Double-Take requires a lot of I/O through a lot of bandwidth consumption. Veeam has the ability to monitor production SAN latency during both backup and replication and can throttle the Read IOPS to avoid any impact on production (this is a patented technology of Veeam). Double-Take doesn’t provide this facility, keeping a high utilisation on production. Veeam is licensed per CPU Socket regardless of the number of VMs and the disk space consumed on the production storage, which makes Veeam a budget-friendly solution. Zerto is an Israeli-American software manufacturer specialising in data protection, owned by venture capital firms. The Zerto solution focuses on continuous data protection and near-continuous VM replication (no storage snapshot, no real backup, no long-term retention). Zerto protects virtual (VMware & Hyper-V) and Cloud (Azure, AWS) environments. Zerto Virtual Replication (ZVR): CDP for replication and recovery of VMware and Hyper-V VMs on-premises, and replication to Zerto SP. Zerto Virtual Replication to Public Cloud (ZVR PUB): CDP for replication and recovery of VMs to Public Cloud (AWS, Azure). Zerto Virtual Replication Enterprise Cloud (ZVR ECE): CDP for replication and recovery of VMs across on-premises and public cloud data centres, and to SP. Zerto Virtual Replication Migration (ZVR MIG): CDP for migration of VMs from one location to another. VSS Agent: an add-on for ZVR to achieve SQL app- consistency. Agent to install on each VM. How does Zerto compare with Veeam? Unlike Veeam, Zerto needs third party tools to offer a complete data protection solution, which can introduce additional complexity (multiple tools to deploy, manage and support) and cost (administrative time of managing multiple tools and risk of paying for separate tools with overlapping capabilities). As there is no unified visibility across all data protection tools, this may lead to workloads going unnoticed or not being protected correctly. Zerto can be an expensive solution, particularly as it only offers rigid VM replication. At less than half the cost of Zerto, Veeam offers compete data protection capabilities (replication, snap, backup and archive). While Zerto’s cost may be justifiable only for the most critical VMs needing the lowest RPO, it is generally too high for the other VMs. Veeam offers advanced VM replication fit for most VMs, at a fraction of Zerto’s cost, and integrated with backup. Its non-customisable 5-second RPO can mean Zerto is unsuitable for most VMs, which need replication on a minutely, hourly, or daily basis. Veeam offers admins the flexibility to adjust the RPO to fit different replication SLAs. In comparison to Veeam, Zerto facilitates the move from backup to long-term retention. However, its backup system lacks the flexibility and advanced features of Veeam and allows for retention of up to one year only. In Zerto, flexibility is limited as the backup job is based on the VM replication job (admins do not select specific VMs to backup), there are limited repository options (Zerto server’s local folder or SMB share at DR site), and you cannot restore a single VM if the backup job contains several VMs. Zerto allows you to automate DR testing, which Veeam doesn’t. However, this facility has limited recoverability verification features, requiring considerably more administrator actions. The automation offered by Zerto can bring its own issues. For example: admins cannot select replicas to test (Zerto tests together replicas listed in a same VM replication job); there is no verification scheduling (admins must manually start/end test jobs using a 3rd party open-source tool to create schedules); there are no advanced verification tests (admins must manually verify that VM replicas work correctly); and no isolation from production network and VMs (VM replicas are just tested on a specified network, which could give rise to a potential IP conflict). Hopefully this information has helped you narrow your search for the ideal data management and backup solution for your business. Previous: Previous post: Don’t gift wrap your data for hackers this Christmas – invest in an off-site backup solution.